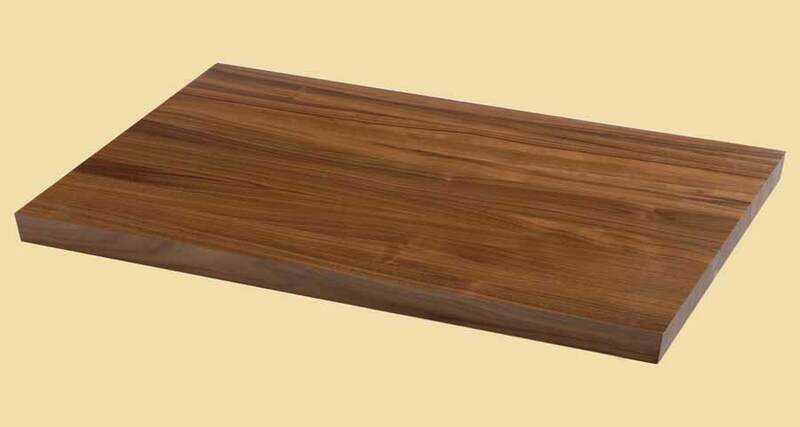 Premium Quality Poplar Butcher Block Style Wood Backsplash. 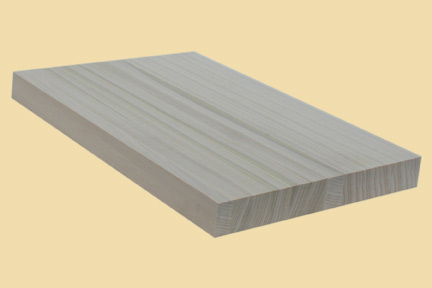 The sapwood of Poplar is creamy white and may have streaks throughout the grain. The heartwood varies from pale brown to green with purplish streaks. The green heartwood tends to darken with exposure to light. 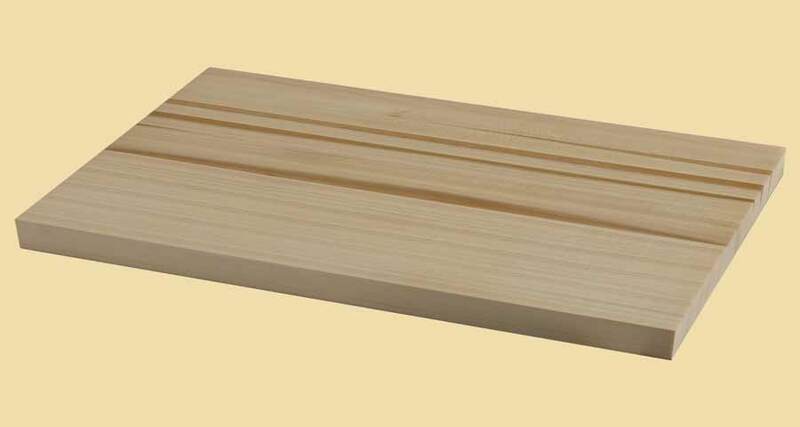 Poplar is straight grained with medium to fine texture. Poplar is very strong and stable. The Poplar backsplashes on this page are butcher block style. They 3/4" thick, 4" wide and available in almost any length. The backsplash has 1" wide strips running the length of the piece. The first and last strips may be less than 1" wide.